When it comes to learning grammar, sometimes it’s better to do it in small chunks but often. It also helps when you can learn from different sources, with several types of questions. English Grammar Apps for Android are now one of those sources, and most of time they’re free. 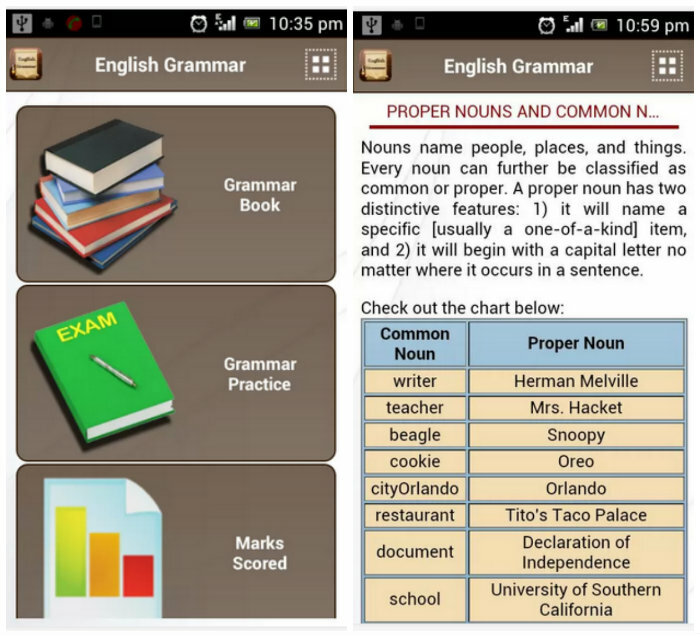 So, here are some of best free Android apps to help you learn English grammar. ￼Before doing any quiz, what you’ll want is reviewing the lesson. This app gives you summary in most aspects of grammar. You’ll find topics from nouns, verbs, to passive voice and conditionals. Each topic is explained briefly in introduction, and then continued in detailed section explaining more types or rules. Intermediate learner or someone who wants to learn more in specific topic will benefit the most from this app. A beginner still can get advantage from the rules that are presented in the form of tables, but the explanation comes in long conversational type of sentence that might be hard to understand. Most of topics have review quiz in practice section, with multiple choice items. After you’ve learnt a topic, you may want to test yourself. This app let you do it in a game style. There are three kind of quiz here: spelling, grammar, and vocabulary. Each is divided into three levels (easy, medium, and hard). For grammar quiz, you’ll find four topics inside each level. Some topics are: prepositions and irregular verbs for easy level, gerunds and more or less for medium level, modal and conjunctions for hard level. Most quizzes came in the form of multiple choices, but always with time limit. You get audio feedback every time you enter an answer, and you can see the correct answer at the end of the test. Depending on the level you choose, this app is great for beginner to intermediate learner. There are 3 Test Your English apps. For elementary, intermediate and anvanced level. 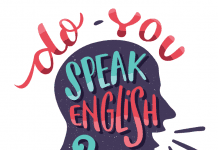 Each have the same choice of ESL/EFL grammar exercise, ESL business English, English synonym worksheets, idioms, and common errors in English usage section. There are many topics to choose inside each section. Each topic consists of 10 multiple choices questions. The correct answers are given immediately when you make mistakes. These questions also came in the listening format that you can adjust the speech rate or pitch. There are also games like ‘Who wants to be millionaire’ quiz, with random questions. If you’re looking for one app that covered many topics, this could be the one for you. Because this is the lite version, only six topics are available. They are enough to satisfy the search for a harder English grammar quiz, though. This app has topics like irregular verbs, idioms, synonyms, and proverbs. There are 10 questions for each game, but if you play it again you won’t always get the same questions. The questions also come in more variety, even the multiple choice have six choices available. Some quizzes also require you to type in the answer, so it tests your spelling too. Some categories like idioms, synonyms, or proverbs are more suitable for intermediate or advanced learner. Even the irregular verbs and common misspellings category have many words that are too hard for beginners. So, if you’re looking for a game with a little challenge in English grammar or vocabulary, want to broaden your knowledge to more than everyday or common irregular verbs, this is the place. This app is for people with European language as native language. It has translation in Russian, Italian, German, French, Spanish, Portuguese, Romanian and Ukrainian. You have to choose one before using this app. 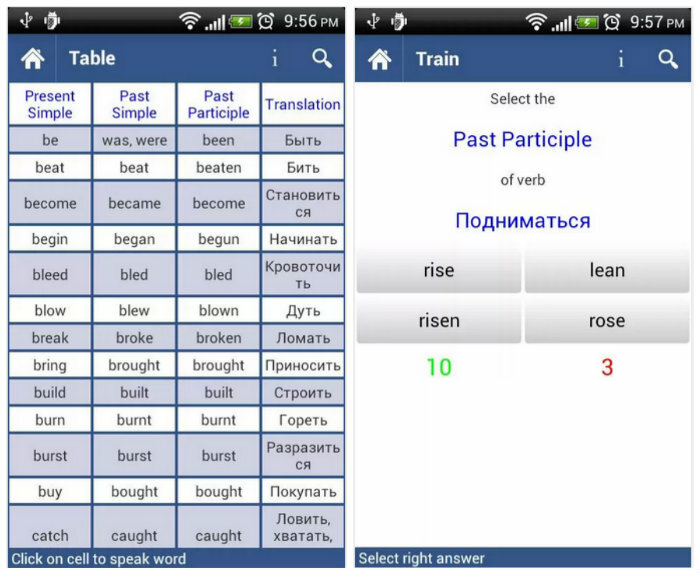 Since this app focuses on the irregular verb, basically it only gives list of the three types of verbs. One plus is you also get the word in your chosen native language, so it’s like having a mini dictionary for verbs. There’s also the pronunciation of the verbs for you to listen. The best feature is the training section where you’re given verb in the native language and you have to select the English verb for it. It’s more challenging because you could be asked any of the three types of verbs in random. This app is more suitable for children or beginners. The list of irregular verbs consists of more common verbs, but includes a clear voice pronouncing them. In practice game you simply have to choose the words to complete the three forms verbs. Again, the voice is very useful here. If you’re not interested in drilling the words, at least you’re still be able to learn the right pronunciation here. There are a lot of English grammar apps out there. These are only a few that considered good, or even best of them all. Not all are suited for everybody. But you can try them, see if they do something in improving your English, and tell us what you think. 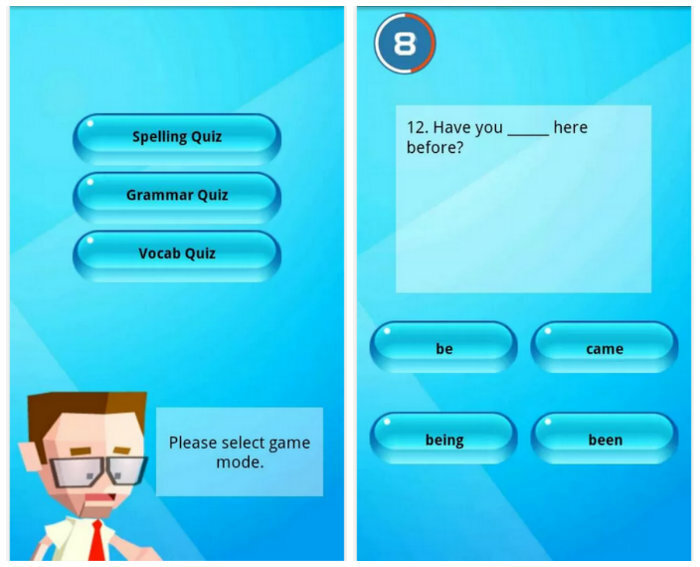 This app is intended to get the basic of English grammar by a unique method of explanations and Tests. Easy English grammar is developed in order to explain English grammar in the simplest way so that anyone can understand and read it. 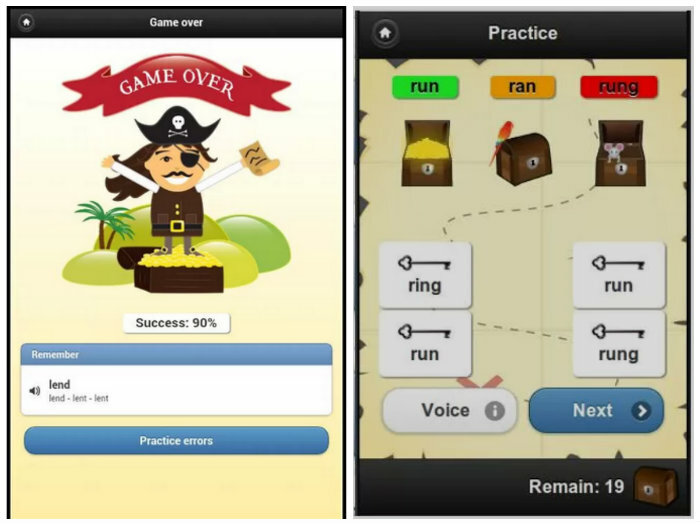 English Grammar also includes a game like test to strengthen the concepts of Easy Grammar.